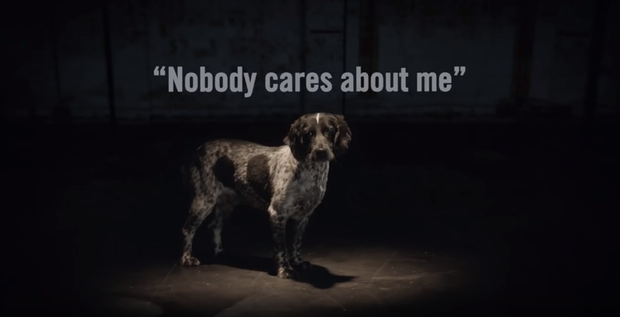 Dogs Trust recently launched our Christmas campaign, titled “How Much is that Doggy in the Window”, which cleverly twisted the famous song into a reflection on Ireland’s problem with puppy farms. The education team are often faced with children that gleefully tell us that they love dogs so much, that they have decided to get a puppy for Christmas. On paper you can see why it makes sense for someone to give a puppy as a present. Puppies make us happy. Think of the last time you saw a puppy. When they gaze up at you with doe eyes and a furiously waggy tail, they steal your heart. You want to cuddle them, and rub them, and squish them. And when you give someone you love a present, you want them to be happy, so it seems logical that a puppy would make a good Chirstmas/birthday present, right? Wrong! 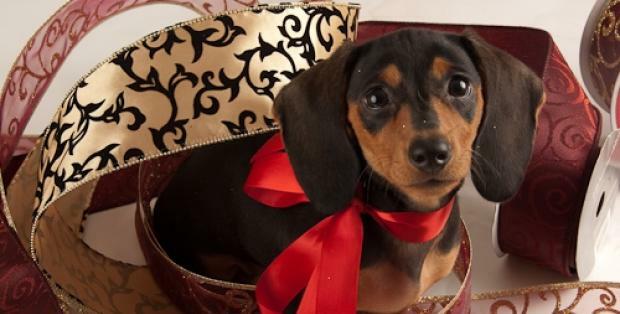 Puppies make terrible presents for a variety of reasons, and we will use the blog this afternoon to outline the full picture. When you get a puppy as a present you’re only thinking of the human's wants, not the puppy's needs. Puppies are adorable, and gorgeous and lovely, but they are also hard work. They need toilet training, lead training, don’t-chew-everything-in-the-house training. When a family sits down and decides to adopt a dog, they will consider all these factors. But when a puppy is given as a gift they begin to resemble a product plucked from a shelf. Unlike a board game or a toy, puppies cannot be returned, or put in the attic until the next time you want to play with them. Buying a puppy as a Christmas present encourages irresponsible puppy breeders. Most rescues insist that every member of the family sees the dog before bringing it home, and will match the right dog to the right family. A family with lots of children will not suit a dog that is nervous around them, and a family that goes for big hikes every weekend would be perfect for a dog with lots of energy. This is the best way to rehome a dog as it ensures everyone in the family is on board, and knows what’s in store. Most will also insist on a home visit to make sure the garden is suitable. This method of adopting a dog is not compatible with a surprise dog at the bottom of the tree on Christmas morning, so people who insist on getting a puppy for December 25th will often end up going to dubious puppy farms that don’t really care about the puppy, or you. They just want to make money. Many of these farms are terrible places, especially for the poor mothers, so avoid them at all costs. Christmas is not a normal time from most of us. Do you know that strange period, about three or four days after Christmas, when you suddenly ask yourself, wow, what day is it? It’s a lovely hazy time of year, made for eating and watching great films. We completely lose our daily routine and it’s wonderful, but you know what? This is not a great time to get a puppy. The first few weeks with a puppy are crucial. They’re fun and rewarding, but they are busy, and not necessarily compatible with the Christmas period. 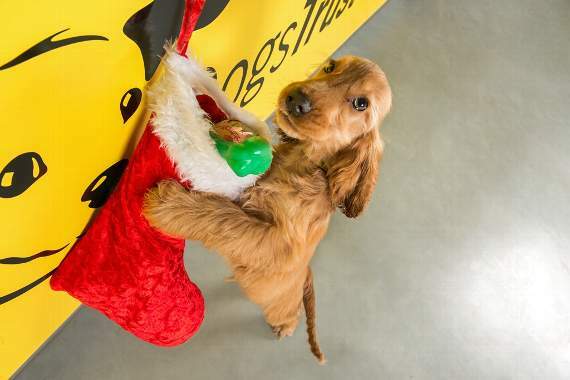 It’s no coincidence that dog shelters across the country (Including Dogs Trust) receive hundreds of phone calls every January from people who can no longer care for their Christmas puppies when they go back to work and school and regular life. We don’t think this sounds fair. Do you? A Dog is for Life, Not just for Christmas. This is one of Dogs Trust’s mottos, and has become well known across the world. Yet despite the familiarity of this phrase, unfortunately people still continue to go down this route. So Aoife, our Connacht Education and Community Officer came up with a possible suggestion for children who really really want a puppy for Christmas. Instead of getting a dog, perhaps you could get a dog bed, and some dog treats, or toys? And these could be donated to Dogs Trust (or your local dog charity), to help dogs that really need them. Or…if you and your family really feel you are ready to adopt a dog, and you are sure that you have the three E’s- Enough Time, Enough Space and Enough Money for a new dog (only with these three components, can you truly be a responsible dog owner!) you could keep these doggy items, and in the new year, you could visit us at Dogs Trust and adopt a dog rather than buy it. We think this sound like a great idea. What about you? 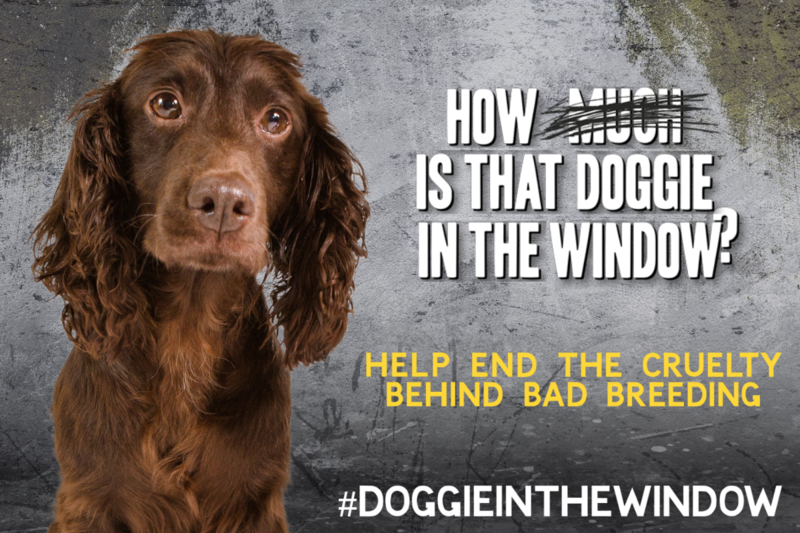 You can read more about our “How is that Doggy in the Window” campaign here. We would also love if you could sign our petition to ask Minister of State Sean Canney, with responsibility for Natural Resources, Community Affairs and Digital Development to review and strengthen the Dog Breeding Establishment Act 2010, which will see tougher enforcement and prosecution where breeders fail to comply.